If you are considering any outdoor home or office renovation of significance or scope, make sure your Landscape Architect can provide quality 3D renderings of the proposed project designs. 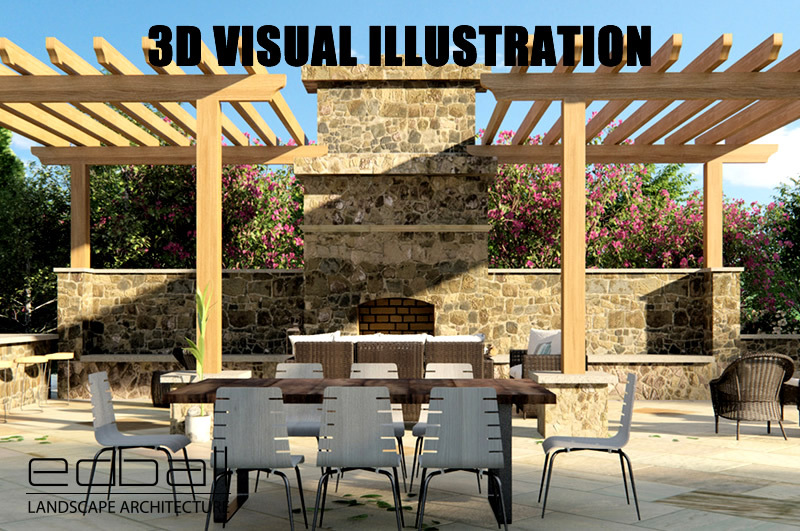 Quality 3D virtual illustrations or renderings are photo-realistic representations that visualize what the landscape architectural plan designs are expected to look like when the project is finished. Historically, you would typically have a 2D Plan or you may have some sections or elevations which are cut slices through a design. 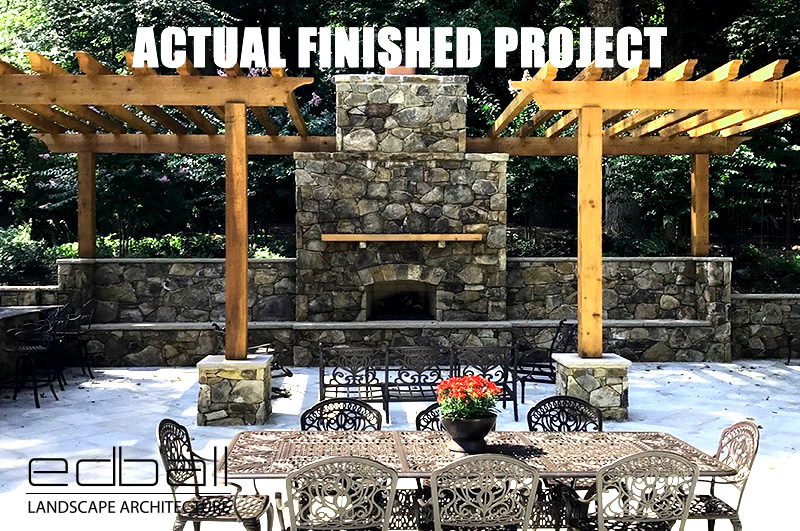 This may leave you with a limited perspective or view of the project in finished form. Additionally, some 3D Plans lack the photo-realism to provide the client a true virtual perspective of the imagined project design. Without quality 3D renderings, you become susceptible to a host of potential problems, such as project delays, additional expenses, or worst yet, you end up paying tens of thousands of dollars for a finished project that doesn’t look like what you were hoping for. Good 3D virtual renderings, on the other hand, should convey all of the most recent and up-to-date material choices, including material colors and textures. They allows the client or homeowner to feel like they can virtually walk through the to-be-constructed space and see what is actually going to be built. You’re essentially on the cusp of augmented reality, but without having to use hi-tech goggles or glasses. With my clients I find that the minute that they see these 3D virtual illustrations, they are immediately (and confidently) able to approve the planned design… and if not completely sold on the design, the client is empowered to make key decisions before the construction phase begins. So with 3D renderings, you’re now streamlining the entire project, and not trying to go through the design process during construction phase which can frustrate both the client and the construction team as delays inevitably arise. 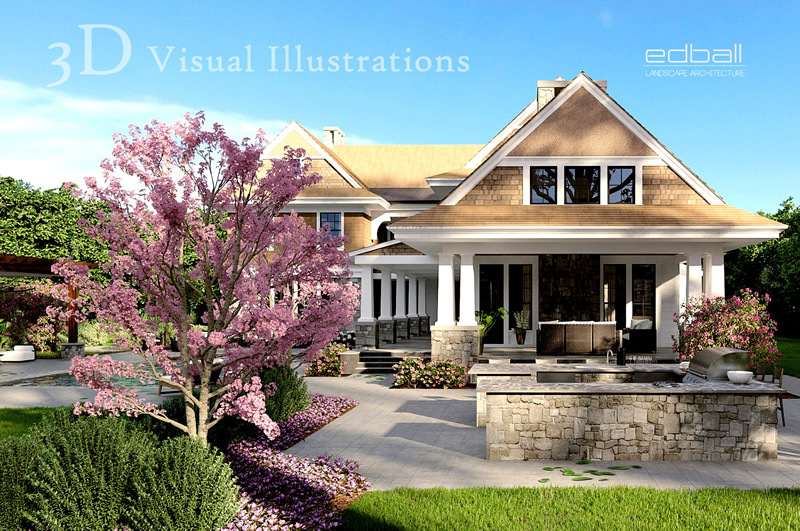 Ultimately, quality 3D renderings and technology allow me to get projects done faster and with much greater client satisfaction because the finished project is completed in accord with client’s imagined goals and dreams for their exterior landscape. This allows me to meet or exceed my client expectations.. which is the mission accomplished. 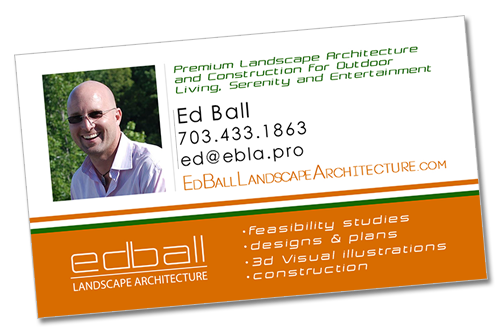 Ed Ball is Principal Architect and Designer of Ed Ball Landscape Architecture — a premiere full-service landscaping company based out of Northern Virginia.